I offer a variety of 3 and 4 day seminars to china painters. Please contact me for fee schedules. Class size is 10 students. I will take up to 12 students, but charge $25. per extra student, per day for students 11 and 12. If you can house me in a smoke-free home, that is the accommodation I prefer. If not, hotel accommodation will be furnished by the group that hires me. To save travel costs, please check my Schedule page. Landmarks: buildings, bridges, street scenes, even a detail of a building or landmark can be an interesting painting. I prefer that students bring their own photos of a place that is special to them. Pocket Watch: I paint pocket watches and their working parts on many types of pieces, using many techniques. Matte paint, china paint, gold, platinum and lustres are some of them. 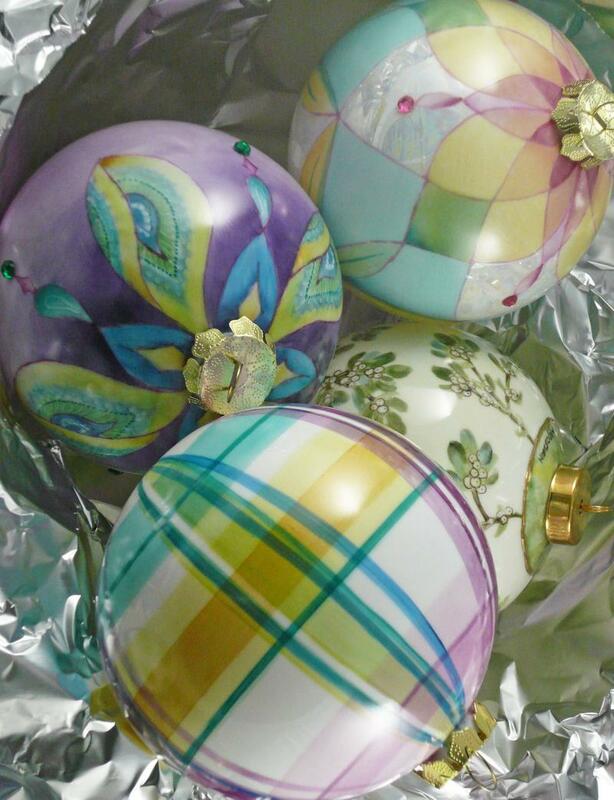 Ornaments/Eggs using the Lathe: This is a very popular seminar subject because many people have the lathe already, but are unsure how to use it. A three or four day course using this makes very many ornaments and a lot of new tricks for painting heirloom quality pieces. Design Basics: I teach a simple way to start designing your own work. This can be done on any circle, square or triangular piece. It is also easy to use on ornaments and vases. I am available to teach workshops to large groups. Any subject seen on this site is possible. Please contact the artist for further information.